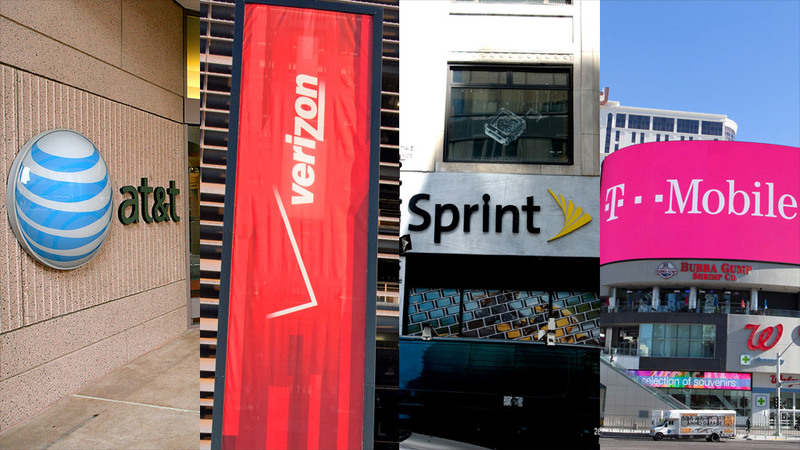 AT&t, Verizon, Sprint and T-Mobile have become more competitive on pricing, but cell phone bills have become more confusing. Finding the wireless plan that offers the best value is enough to give even the savviest cell phone customer a migraine. Over the past several months, cell phone carriers have radically changed the way they bill customers. AT&T was the most recent to change up its pricing, cutting prices of its family smartphone plans on Saturday. Sprint heavily advertised its "Framily Plan" during the Super Bowl, as did T-Mobile with its "uncarrier" plans. Verizon has also been heavily promoting its "Share Everything" and "Edge" plans. Why all the different billing options? All the carriers essentially offer the same network technology and services now. You can go to any carrier and get unlimited calls and texts, and a varying amount of 4G LTE data. Each network is reasonably fast and reliable. But even in this new era of increased price competition, cell phone companies are still up to their old shenanigans. AT&T: For example, AT&T's (T) new family plan lets a family of four split an unlimited number of calls and texts, along with 10 gigabytes of data, for $160 a month. That sounds like a good deal, but what AT&T doesn't tell you is you'll have to pay more for your phone to get that plan. Instead of paying a subsidized fee for a phone and signing a two-year contract, AT&T's new family plan requires customers to pay off the entire cost of the phone. T-Mobile: T-Mobile (TMUS) says it does not force customers to sign a two-year contract. That's true, but customers who want to buy new phones either have to pay full-price for their device upfront or over the course of time for up to two years. Sure, you can "cancel" at any time, because you're not under "contract," but if you do choose to drop your service, you have to pay off the value of your phone. Sprint: Sprint's (S) Framily plan is the easiest way to get a group discount among people who don't all live under the same roof it will issue separate bills. It offers unlimited data plans with an annual upgrade as cheaply as $45 per month. But Sprint doesn't offer subsidies with its Framily plan, meaning customers will have to pay for their smartphones upfront. And existing Sprint customers have to pay an extra $15 per month until their contracts are up. Verizon: If you're ultimately into simplicity, Verizon (VZ) allows you to pay a discounted price for a phone (typically $200), sign a two-year contract and forget about it. Verizon plans themselves are the most expensive of the bunch, charging $100 a month for an individual smartphone plan with 2 GB of data. For a family of four, Verizon would charge $260 for a plan with four smartphones and 10 GB of data. That's because Verizon bakes its phone subsidies into your plan. But that baked-in subsidy makes the Verizon Edge option even crazier. The Edge plan allows customers to buy an unsubsidized phone, paid in installments over the course of two years. They can upgrade after they have paid off half of the phone's value. But since Verizon Edge customers pay those installments on top of Verizon's existing plans, Edge customers are essentially paying off the price of their phone twice. So are there savings to be had? Sure, but it ultimately depends on what exactly your needs are and what perks and benefits strike your fancy. And after all that hair-splitting over which plan will save you money, you're only likely to save a few hundred dollars over a couple of years. It's not that smartphone pricing plans aren't dropping, because they are are. They're just not dropping as much as they want you to believe, and being able to make that comparison is anything but easy.